It’s in those moments that it’s easy to call out to God and ask him for something more. Something of greater purpose, something of greater urgency. Certainly, it’s easy to settle into a lifestyle that gains much and gives little. It’s easy to read the Bible as a collection of lessons on how to live a good life, or to listen to sermons that call us to be a better person, and coast along, believing that we are called to live comfortably well, so long as we don’t break too many of the rules. Of course, this is the wrong way to understand our purpose as Christians. When we hand our lives over to God, when we stand in allegiance with him, when we confess our sins and believe with our entire beings that Jesus is our Saviour, Lord and King, our calling becomes much more than a comfortable life of receiving and gaining. Indeed, when we study, close, the life of Jesus and the teachings of the living Word of God, a conclusion we must come to is how our purpose has to do with far bigger concerns than ourselves. Our mission exists outside our own worlds, with instructions from on high on how to live life day in, day out. What Chan highlights is how God is at the center of everything. It’s all about Him. And the Bible not only teaches us the story of redemption and salvation, but also instructs us on how to bring heaven to earth, on how to show the world its need to be brought into the presence of God. As citizens of the kingdom of God, as royal priests and servants, we are mandated to declare the wonder and majesty of God. In this letter, Peter puts it perfectly, that because of what God has done, we are now called to proclaim this truth–to bring light into darkness. The church gains the platform and the moral right to speak publicly about Jesus and announce him as Lord, explaining how he died for the sins of the world and rose again. 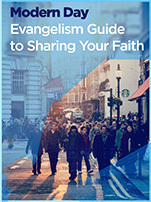 In other words, at the heart of the calling to be a royal priesthood lies the task of evangelism: proclaiming Jesus, persuading people to consider him, inviting people to give their allegiance and discover through him, and through the company of his followers, a whole new way of being human. How beautiful it is, and compelling, that we are given the means to find a new way of being human, to live as new creations, who breathe life into dark and empty places. We belong to a cause that is far greater than ourselves and our personal wants and desires of what a good life is or should be. As we are adopted as sons and daughters of our heavenly father, we are called by Jesus to live lives that boast of this belonging, lives that back up and give proof to our words when we declare with our mouths who Jesus is and who he has called others to be. With this authority to be witnesses throughout the world of the goodness of God, when we share the good news, we join with all of those belonging to the kingdom of God, and find that even in our seemingly mundane and comfortable life, there is much work to be done. Each day we have a purpose. Each day we are called to something greater. "Walk by the Spirit," Christianese say what? Encounter with a BUFFALO…I did not hand him a gift card.